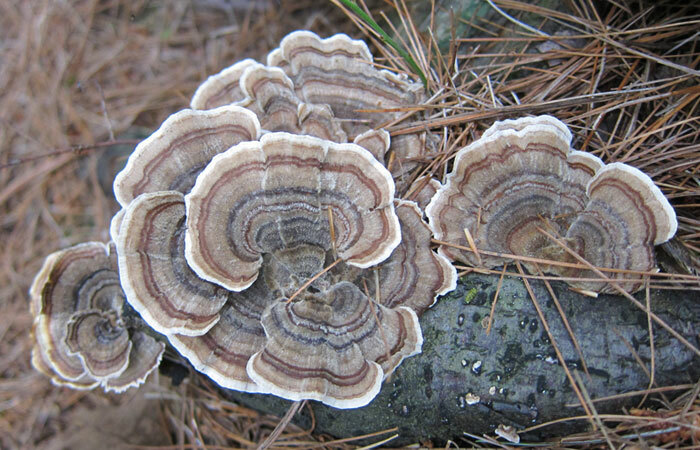 The Turkey Tail Mushroom - Trametes versicolor is found all over the world and is fairly common. 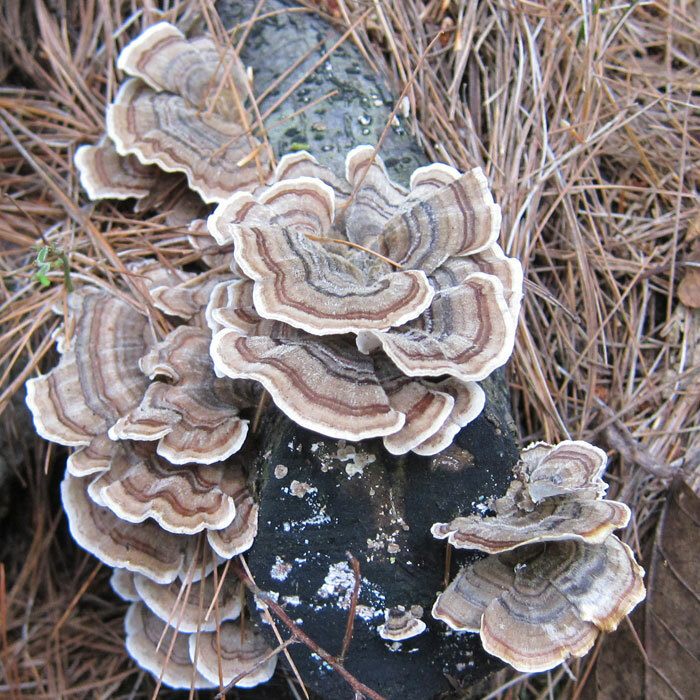 Turkey tails tend to grow on fallen logs and stumps. In China this is often used for medicinal purposes. 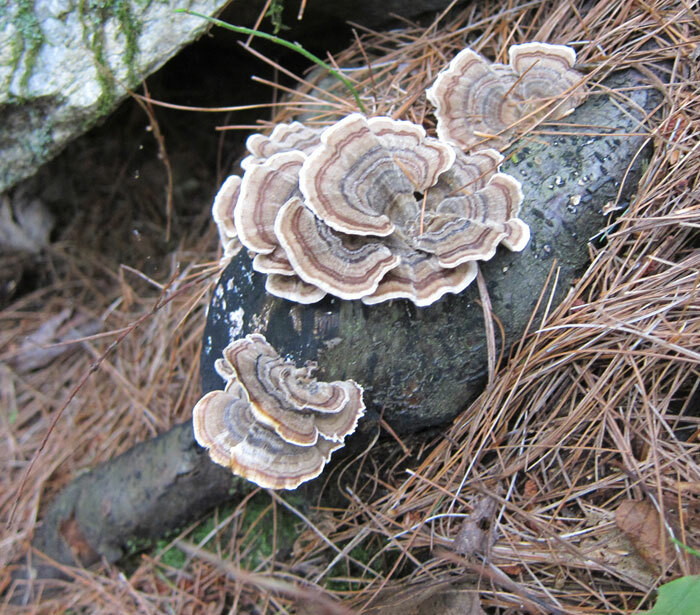 This Turkey Tail Mushroom was photographed in the Sutton State Forest in August 2012. 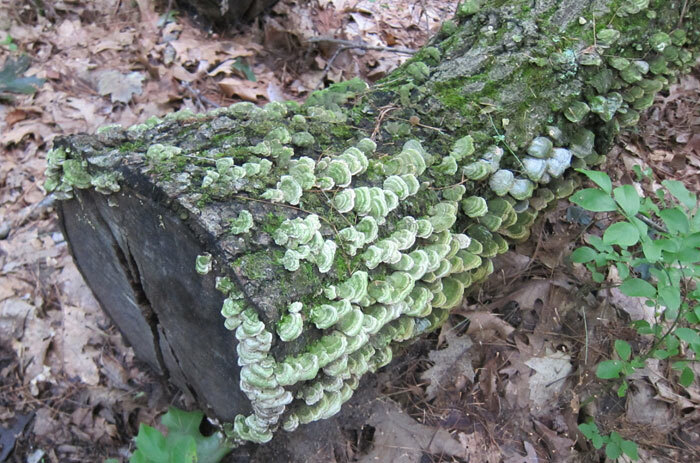 Turkey tail apparently can turn green, if they grow on a mossy surface! I'm not sure if they are camoflaging or if they're ingesting the moss :) This was further down the same trail.